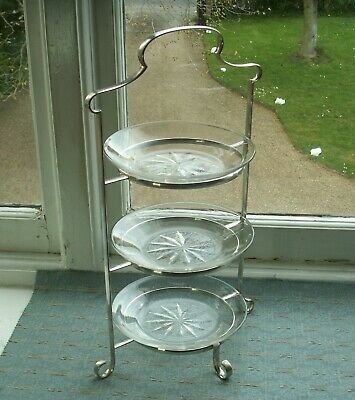 A Matching Pair Of Vintage Silver Plated Cake Stands with very elegant patterns. 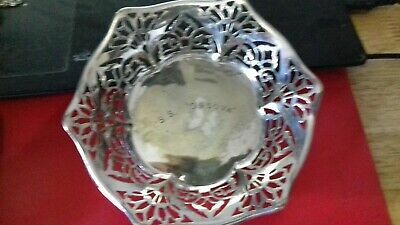 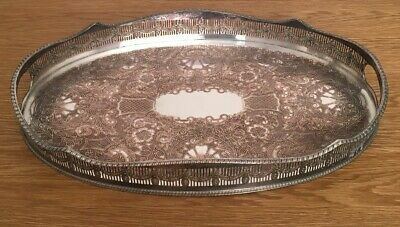 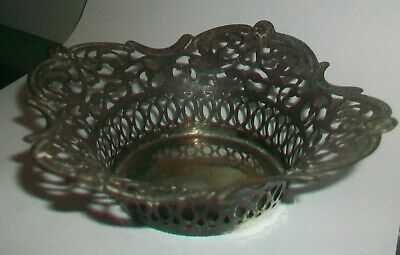 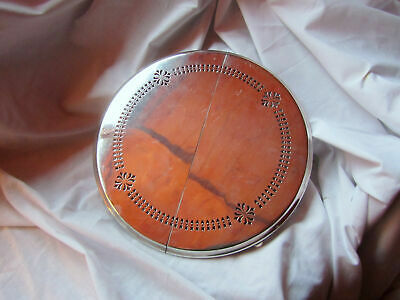 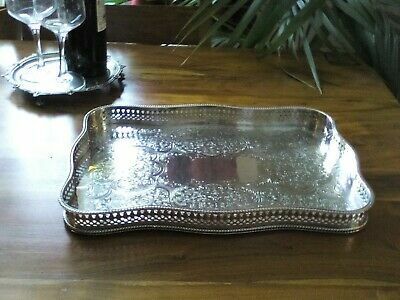 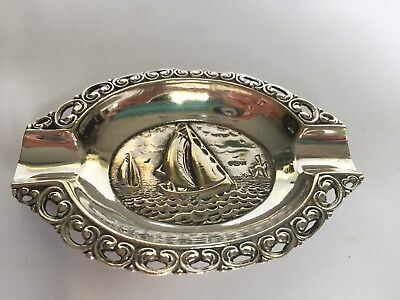 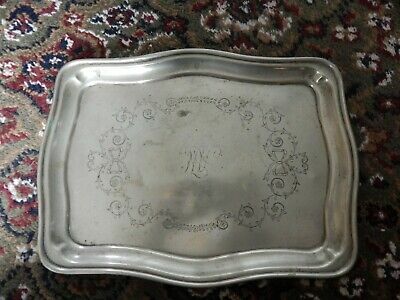 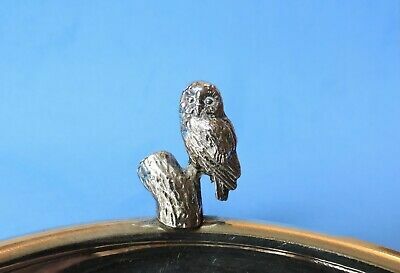 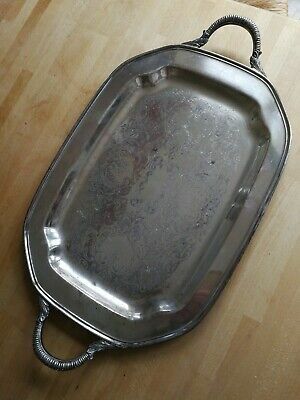 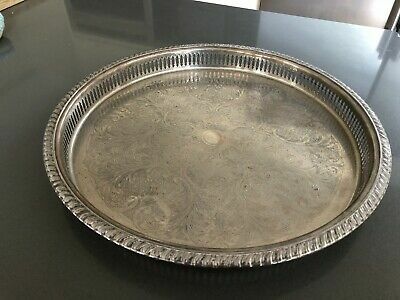 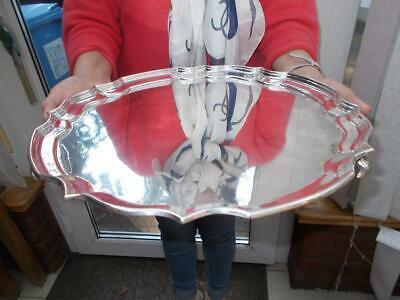 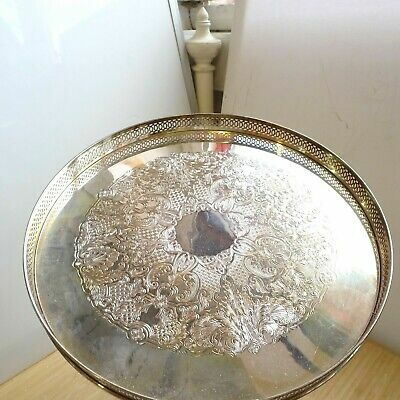 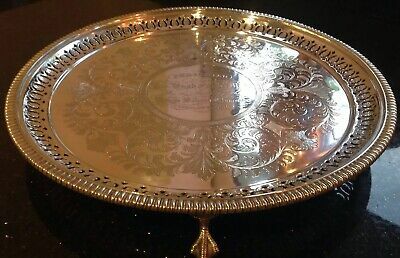 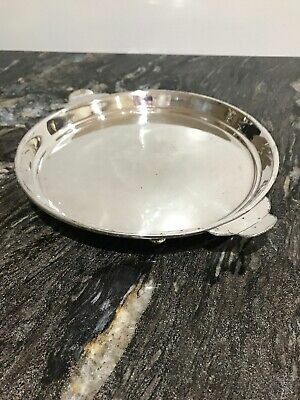 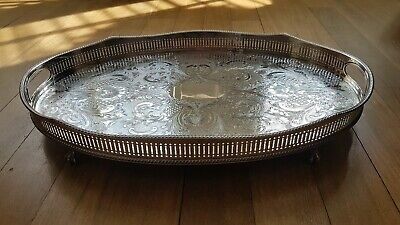 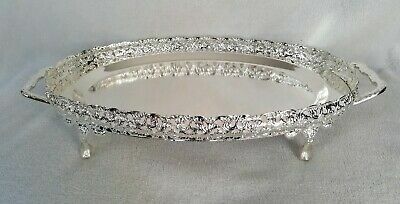 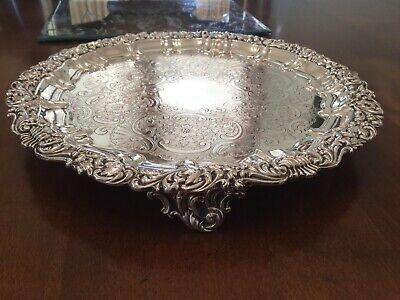 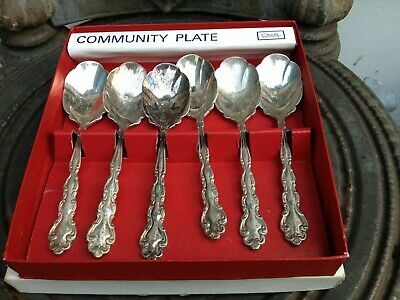 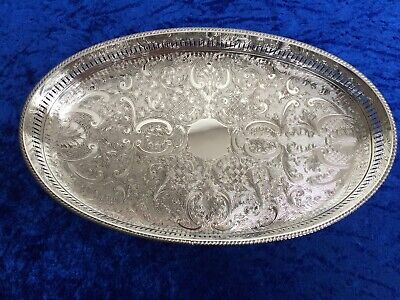 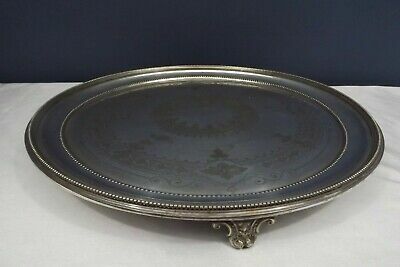 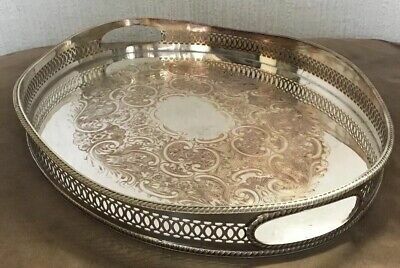 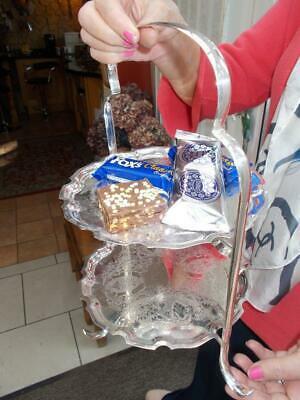 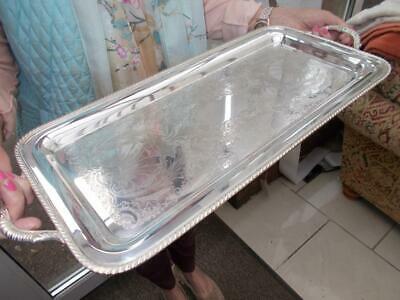 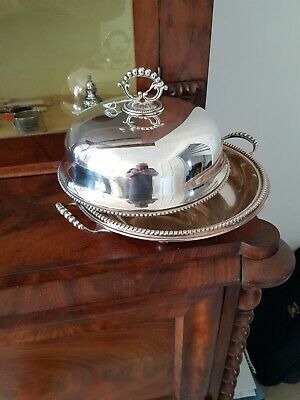 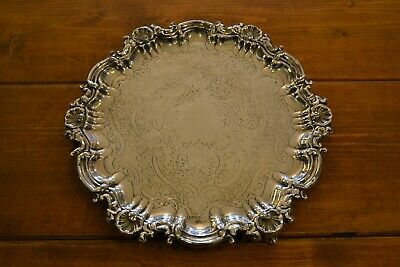 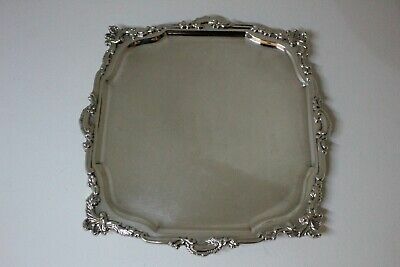 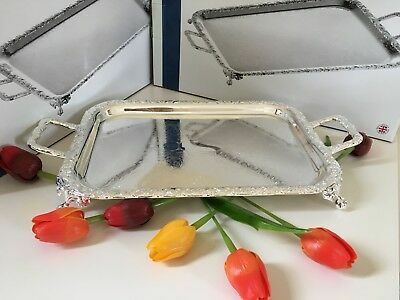 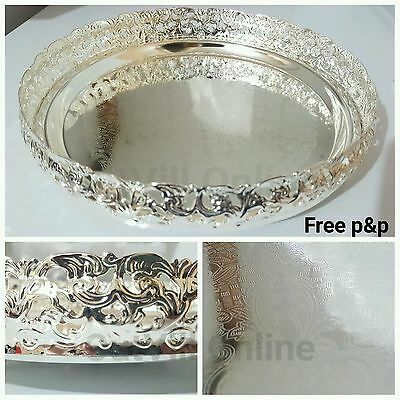 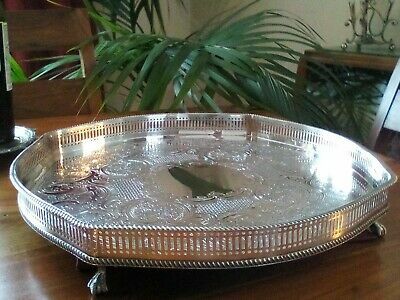 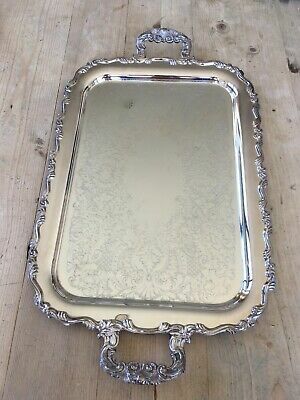 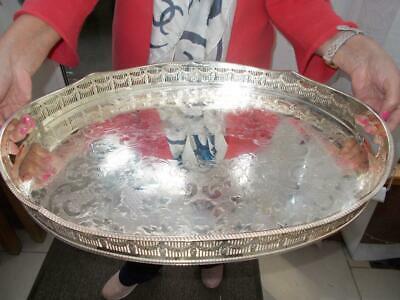 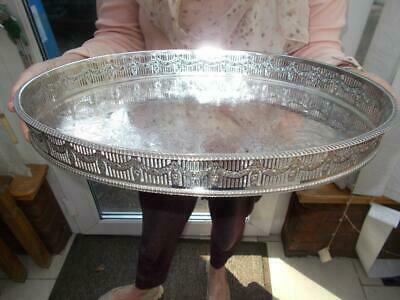 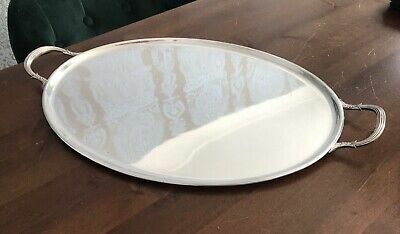 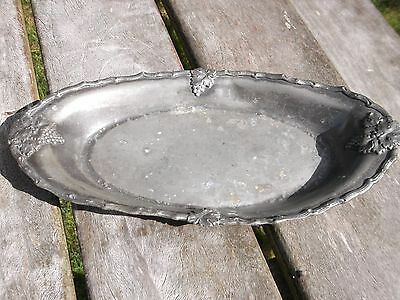 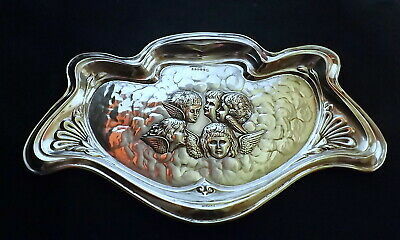 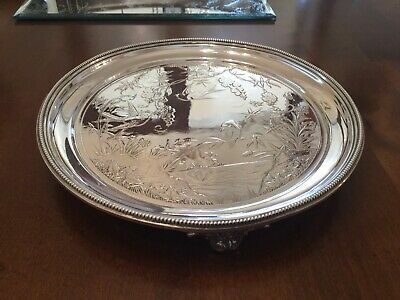 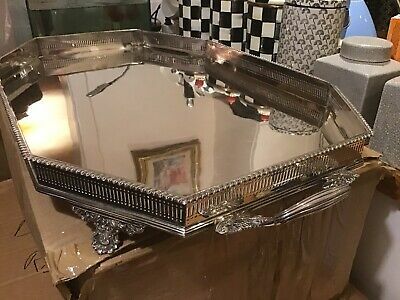 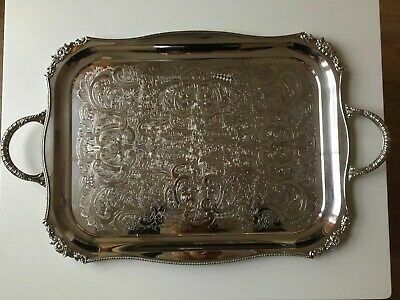 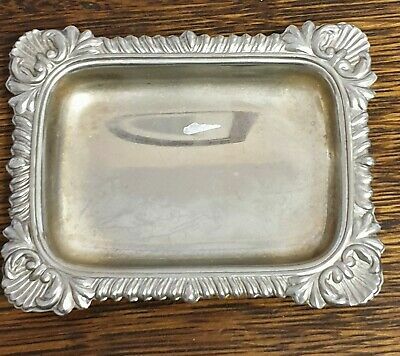 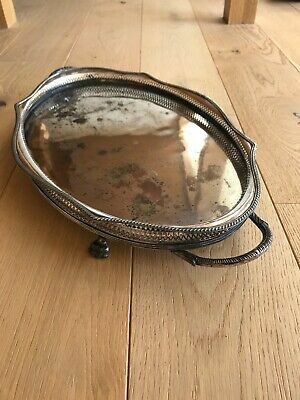 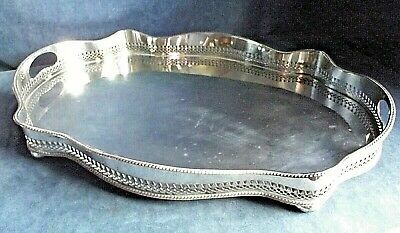 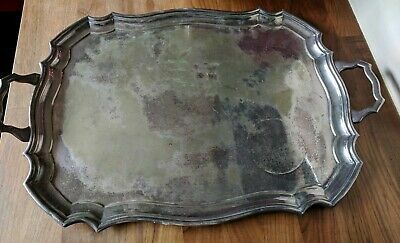 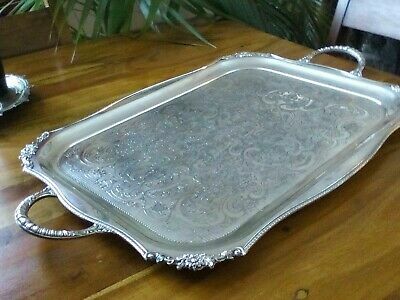 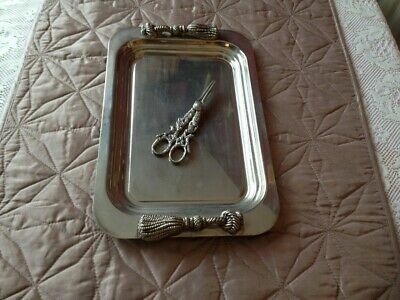 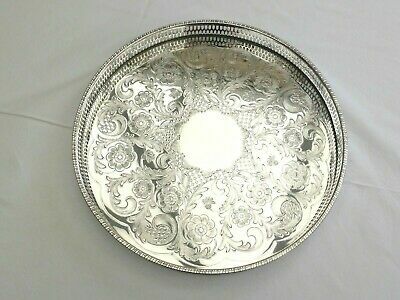 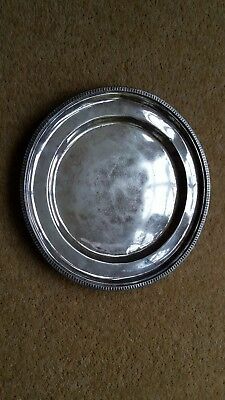 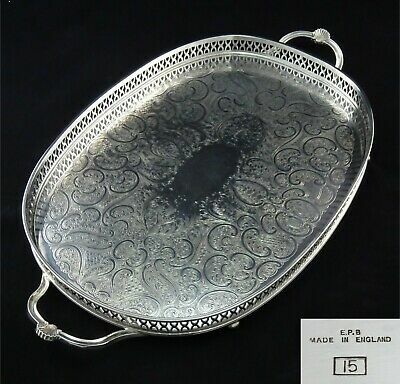 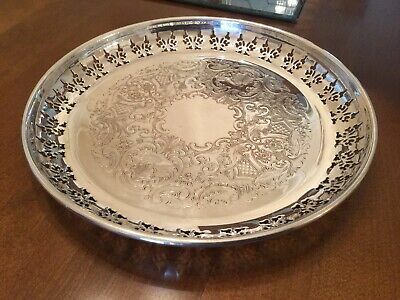 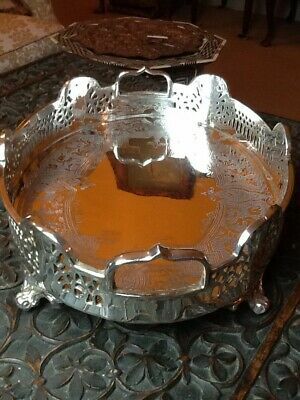 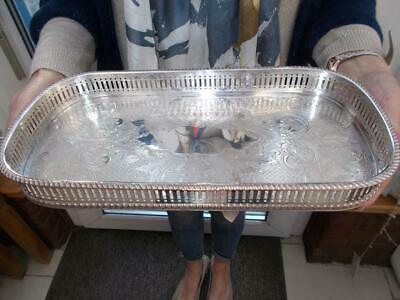 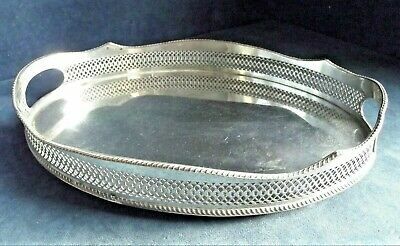 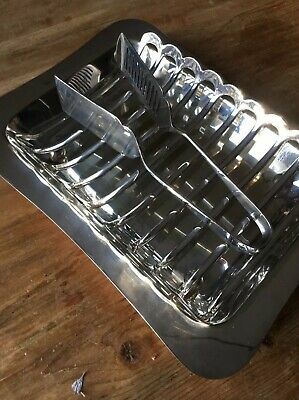 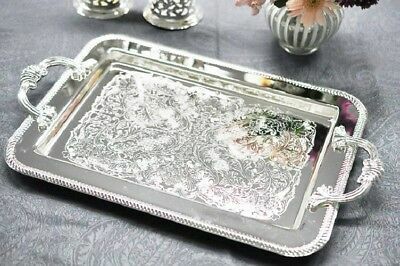 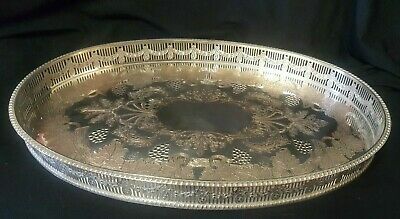 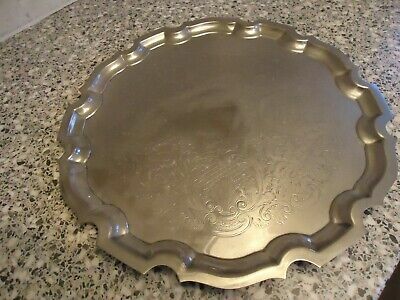 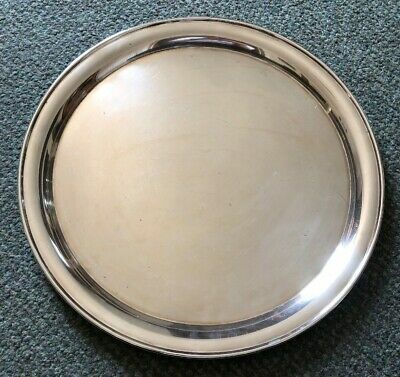 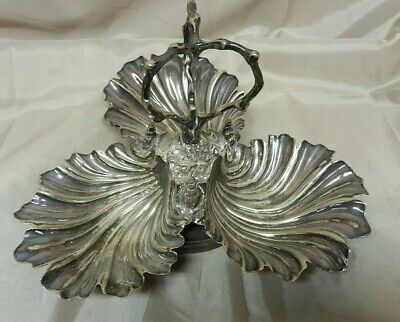 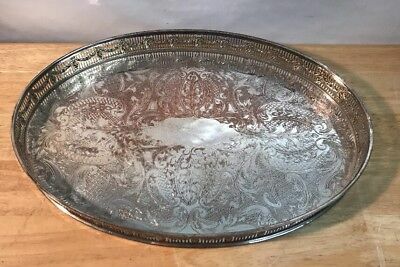 A Beautuful Vintage Chased Silver Plated Gallery Tray.viners Of Sheffield. 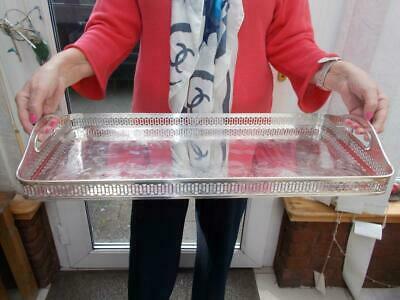 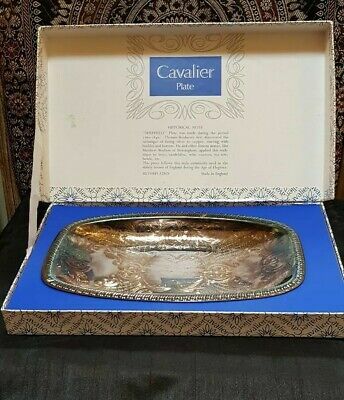 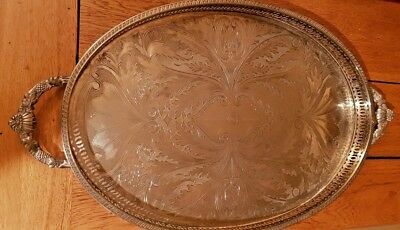 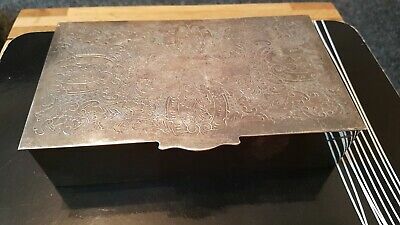 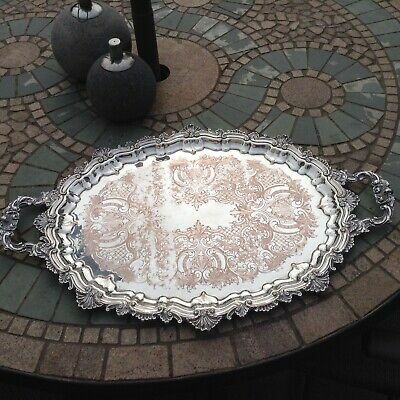 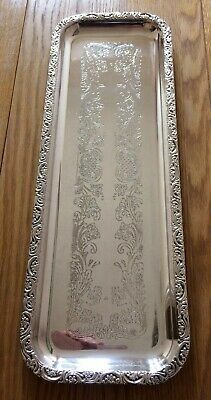 A Very Elegant Vintage Serving Tray With Engraved Patterns.very ornate. 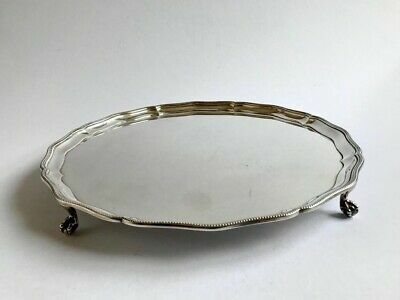 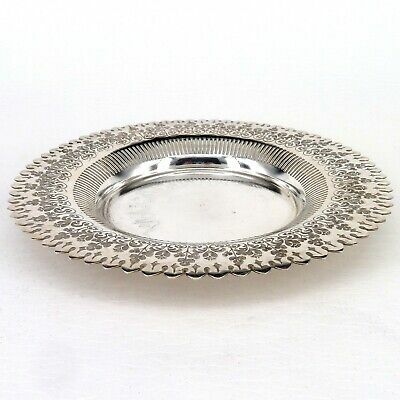 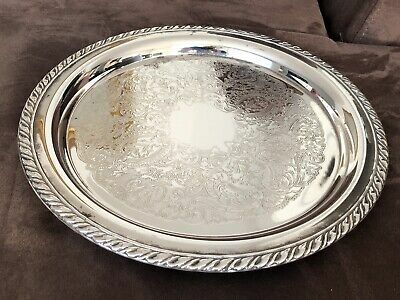 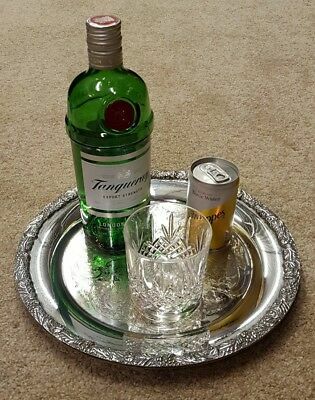 Vintage Oneida USA Silver Plated Round Serving Tray 12"
An Antique Silver Plated Chased Gallery Tray By Viners Of Sheffield.clawed legs. 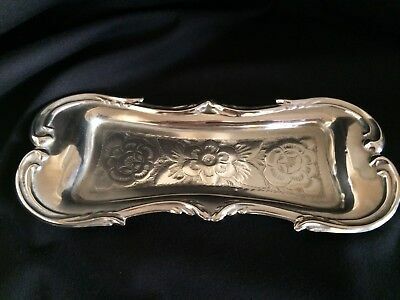 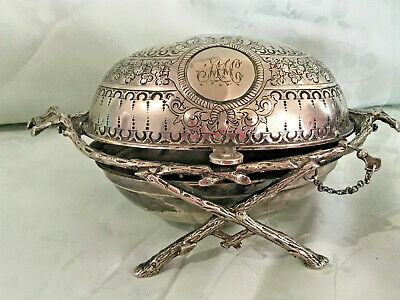 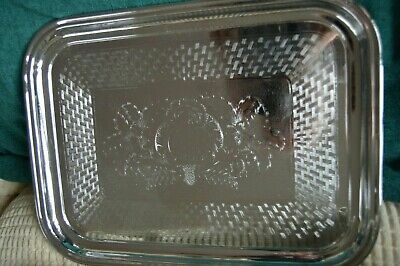 Silver plated Butter Dish . 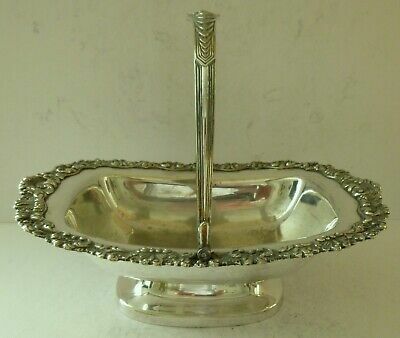 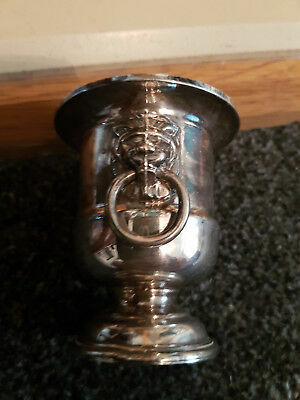 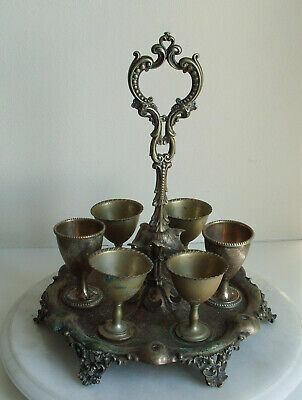 Vintage white metal pierced work Bon Bon dish. 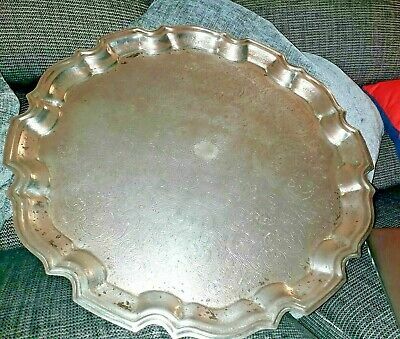 No makers of Hall marks found.